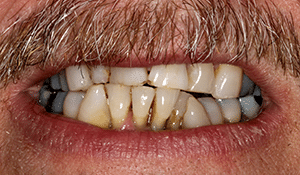 This patient came to us wanting his badly damaged teeth removed. He was in pain, could barely chew, and hated the appearance of his smile. His teeth were removed, relieving his pain and improving his health. 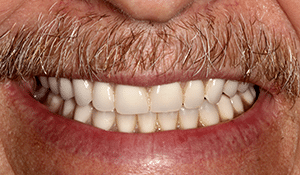 Then he received dental implants and FOY (R) Dentures. Now he is thrilled with his appearance and how well he is able to chew.